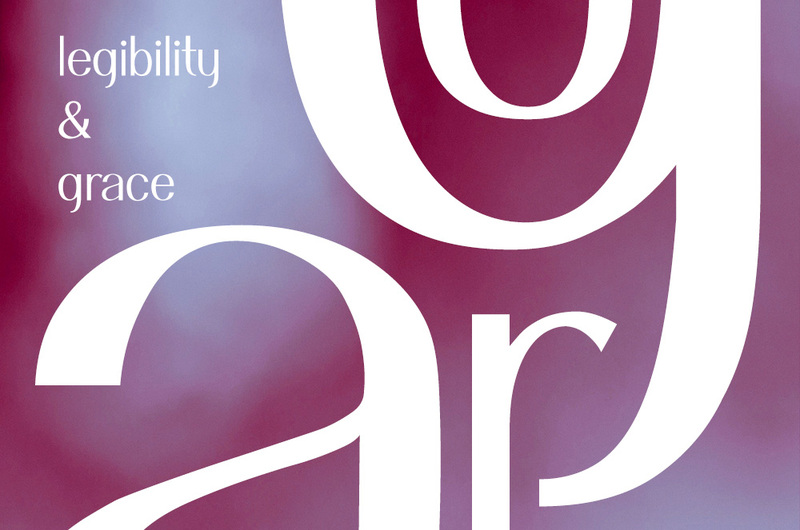 Inspired by a quickly-drawn sketch on the front of a birthday card, Jaffrey is a confident and stylish typeface designed and produced by Julie Wiens. It is a sans serif font that possesses certain serif features, serving as a refreshing alternative to strict Geometric or Grotesque designs. The introduction of contrast allows the horizontal strokes to remain thinner than the vertical ones, giving a suggestion of freedom within the san serif classification. Moderately based on Humanist fonts with the proportions of inscriptional Roman letterforms, Jaffrey is more calligraphic than most san-serif typefaces and the variation in line width provides legibility and grace. 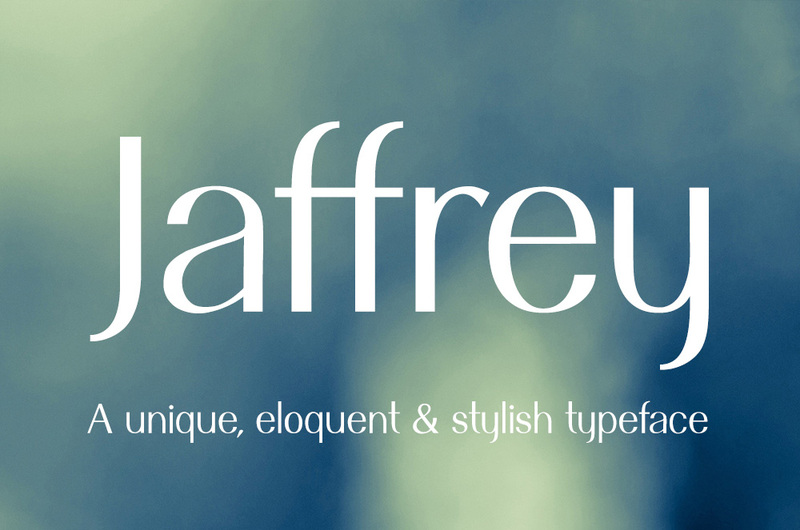 Jaffrey was developed to be efficient in both text and display environments. 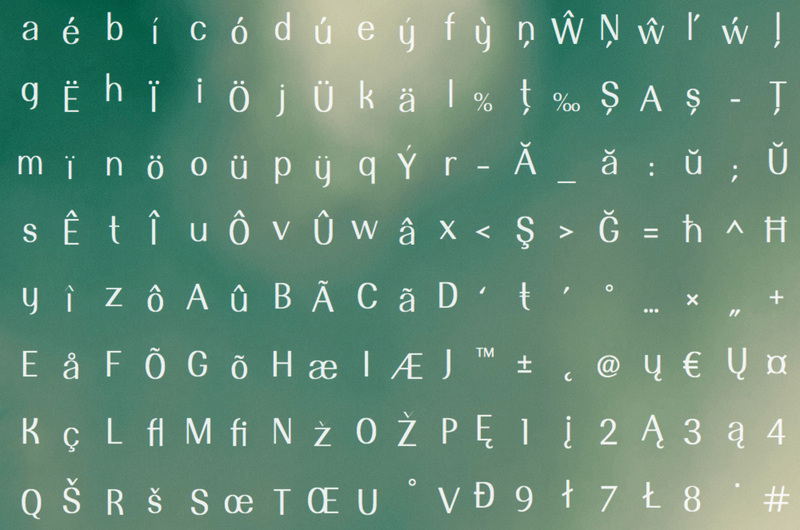 Although only currently single weight, it has complete support for uppercase, lowercase, numbers, punctuation, symbols, and accents for all Latin-based languages. Jaffrey contains a number of unique characteristics that make it fun and enduring. The unusual design of the lowercase g and y with the tail stroke ending before the expected placement gives an eloquent finish to these characters.